Learn more about these 13th generation, non-shedding, allergy friendly, cuddly and smart puppies! 2019 finds me celebrating my 14th year breeding this awesome Australian Labradoodle breed, I'm so excited as to what the next few years will bring! Since 2005 I've been growing the breed by holding back exceptional stock, growing this stock and repeating this process to where I currently at right now, breeding 13th and 14h generations of Australian Labradoodles! I am what is called a "multigenerational breeder". I am located in Oconomowoc, Wisconsin, which is about 30 minutes West of downtown Milwaukee, Wi. 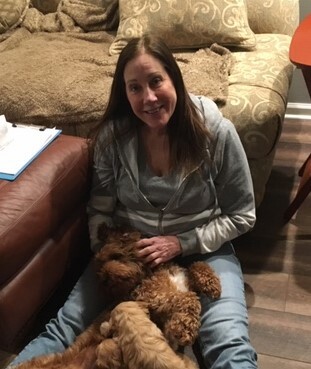 My Australian Multigen Labradoodles have the hearts of a Labrador and the intelligence of a Poodle, the hunting instincts and love of swimming from the Irish Water Spaniel, and lastly, the need to snuggle and cuddle that the English Cocker Spaniel has to offer. 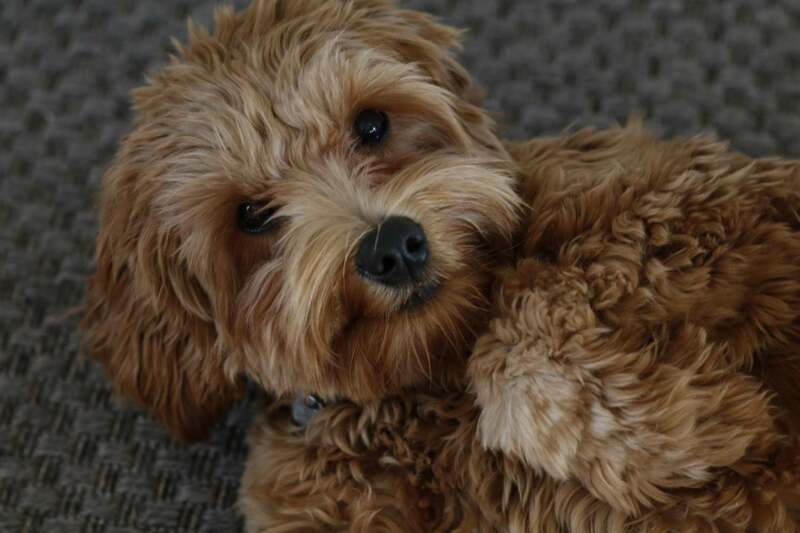 At Australian Labradoodles Midwest Connection I will provide you with an adorable family addition, whose personality is so loving and sweet, yet so comical and amusing! Their silly, child-like antics will make you laugh out loud one minute and a gaze from their deep dark eyes will pull at your heartstrings the next! Their beautiful coats are allergy and asthma free and non-shedding, practically maintenance free! Owning one of these dogs of the future is a must for families that want the best of everything wrapped up in one big bundle of love! Taking applications and deposits for future puppies. Our puppies are very sought after due to their beautiful looks, great temperaments, allergy friendly, non-shedding coats and longevity due to proper health testing of parent dogs. I take my breeding program very seriously and am known for being very ethical and professional. My Harley/Micah litter was just born on 4/6/19, puppies are doing great and the families that adopted them are over the moon with how these boys turned out! My Sailor was artificially inseminating with a new stud line which came to me from Spring Creek Labradoodles in Oregon. I'm so excited to see what puppies come from this new pairing; fingers are crossed for a nice size litter! I plan on holding back two females to be placed in guardian homes for future litters! Following Harley's litter my Besos/Micah litter due to be born the week of May 12, 2019, followed by my Barley Mae/Micah litter due the week of May 19th. Since Jan. 1st of this year my inquiries for future puppies has only grown, but don't be discouraged, my waitlist is currently at one of the lowest it has been in some time due to a few nice size litters last year, a perfect time to get on my waitlist! Turn around time is approximately 2-3 months to get a puppy! Don't hesitate getting on my waitlist for a future puppy, things change quickly with each litter being born! WATCH YOUR PUPS GROW EACH WEEK HERE! 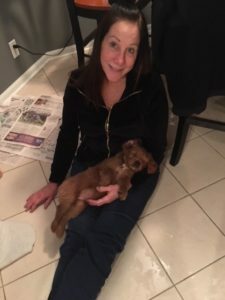 If you live in Wisconsin, within one half hour of my home in Oconomowoc, Wisconsin, you might qualify to be one of the select few who could become a Guardian Family for one of my Australian Labradoodle puppies. In the late 1980's, Tegan Park and Rutland Manor, the two founders of the Australian Labradoodle as we know it today, began carefully infusing several other breeds into early generations of their Lab/Poodle crosses, to improve temperament, coat, confirmation, and size. The infused breeds include Irish Water Spaniel as well as the American and English Cocker Spaniel. The resulting labradoodles subsequently had been bred to each other, continuing the multi-generational tradition. 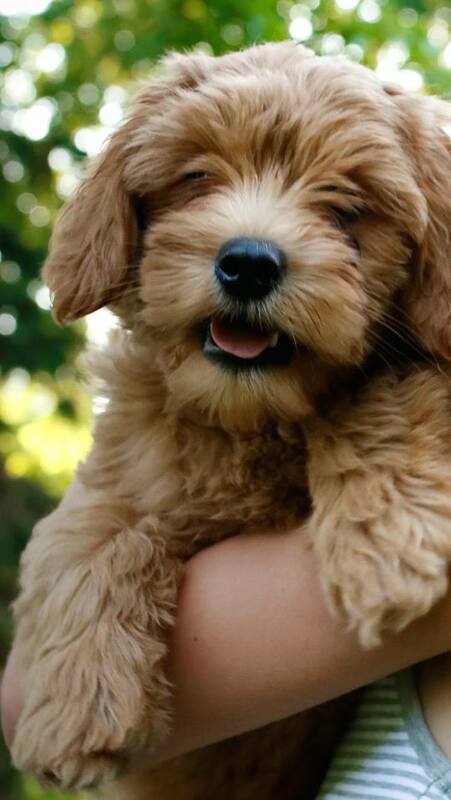 Today, Australian Labradoodles are wonderful intelligent dogs with lush coats that are more reliably non-shedding and allergy friendly than other types of Labradoodles such as first generation Lab/Poodle crosses, or first generation crosses bred back to Poodles. Even when the other types of Labradoodles are bred on for generations, the result is not an Australian Labradoodle, as the attributes of the infused breeds were not included in their ancestry. Australian Labradoodle Midwest Connection is breeding our NINTH Multi-Generational Australian Labradoodles to offer the best of both worlds: a wonderful family-oriented people pleaser, highly intelligent, with low shedding to no shedding, non-allergenic, and a fact that's very important to me, having a home that doesn't smell like a dog! There are VERY FEW DOG ODORS WITH THIS AUSTRALIAN LABRADOODLE BREED! 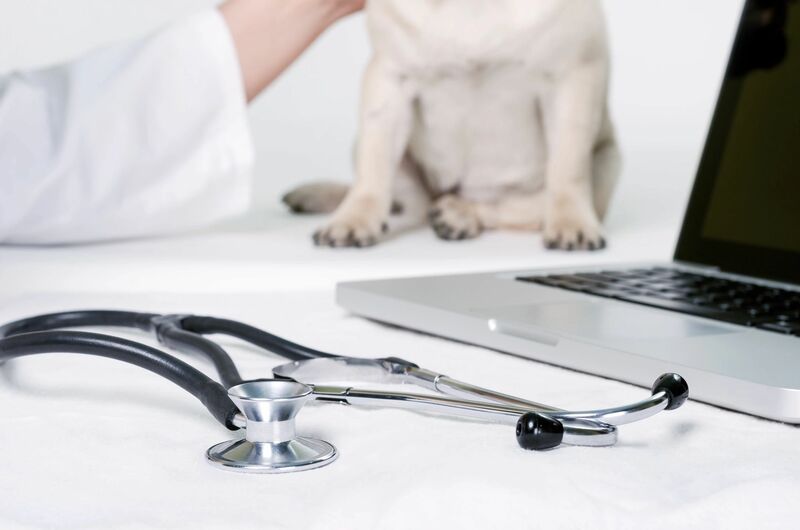 An Australian Labradoodle dog is perfect for people who suffer from asthma and allergies, with many cases of families with allergy problems adopting this Australian Multigenerational Labradoodle breed and having no issues going forward with allergies to their dog! The other bonus is there being less mess and odor in their homes. Be sure to settle for nothing less than an Australian Labradoodle Multigen, bred for years to consistently produce high quality companions. Enjoy the rest of this site and please email me with any questions regarding our breeding program! 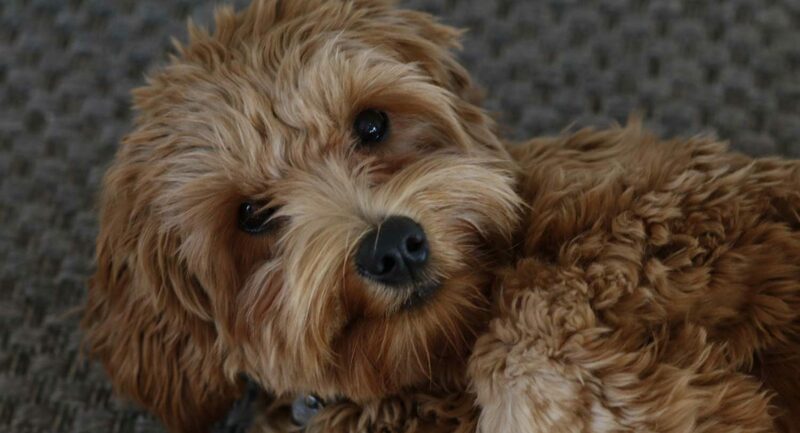 I look forward to honoring your request with the perfect Australian Labradoodle companion for you and your family!